See My Store For More Deals!!! 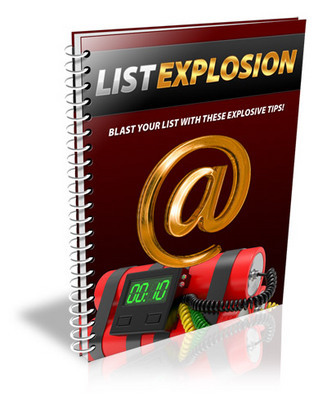 Here's Your Chance To Get Private Label Rights To Our BRAND NEW Blast Your List With These Explosive Tips - 'LIST EXPLOSION! ', INCLUDING Squeezepage, Graphics, and Full Source Files! .DOC Source File for content. THIS very salespage so that you may sell PLR rights too!